Gord Widger began curling officially in a two sheet rink in Fairlight, Saskatchewan when he began attending school there when he was in Grade 8. Actually, though, he started curling on a slough near the family farm with pieces of firewood with handles made out of bent over spikes! In the 1967/68 curling season Gord joined the old rink in Prince Albert. The following year the new rink in its present location opened and he began curling there. He curled there until he retired from curling in 2009. Throughout the 70’s, 80’s and 90’s Gord curled in many Bonspiels throughout Northern Saskatchewan with a great deal of success. An indication of his love for curling is the fact that from 1979 to 1999 he also curled in summer spiels in Wilkie and then in Bismarck, North Dakota. Gord played third with Skip Glen Pryor for many years and together they played in 3 Men’s Northern Playdowns. When they were old enough to qualify for Seniors they qualified for the Provincials six times. The highlight of that run was 1995 when they won the Provincial Senior Championship. The Team of Glen Pryor, Gord Widger, Stan Toporoski and Ed Fusick went on to finish second at the Canadian Championship losing to Ontario’s Bill Dickie in the final. Gord was also named the All Star Third. Gord also curled 4 times in the Provincial Masters and once in the Provincial Mixed. Off the ice Gord has also been involved with volunteering his time with curling for many years. He served on the Board of Directors of the Prince Albert Golf and Curling Club from 1979 to 1994, serving as President for three years. Gord also found time to assist Pat Bibby, with her Learn to Curl Program, for many years. 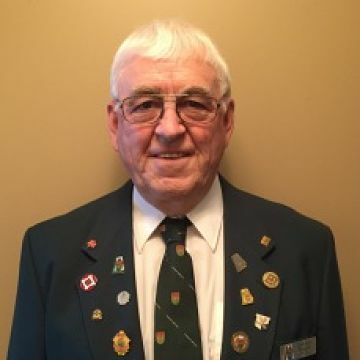 Prince Albert has hosted many Provincial and National Competitions over the years and Gord has been involved as a volunteer for most of them. In 2008 he chaired the National Senior Championship held in Prince Albert. In 1992 he was elected to the Board of Directors of the Saskatchewan Curling Association (SCA), now CURLSASK, and served as the President of the SCA in 2002-03. 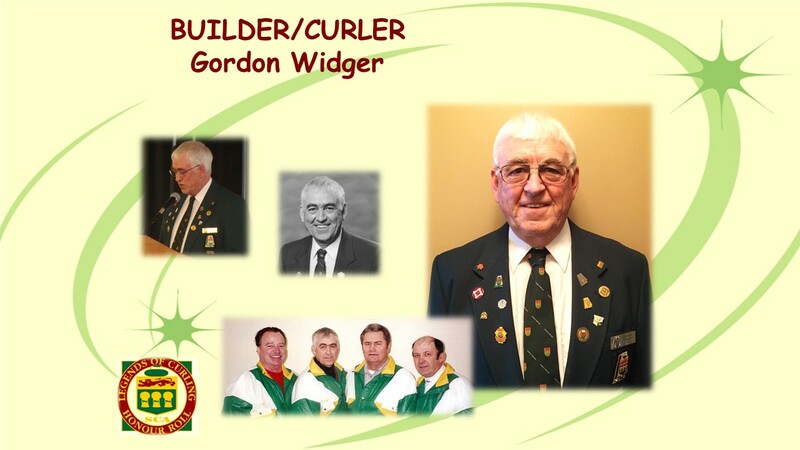 After his term on the CURLSASK Executive he sat on an Ad-Hoc committee with Tom Naylen, Walter Ortt, Larry McGrath and Janeth Muldoon formed to find a way to honour Curlers and Builders in our province that were lacking the recognition they deserved. The result of their work was the creation of the SCA Legends of Curling Honour Roll in 2004 as a Legacy of the SCA’s 100th Anniversary. Very fitting that Gordon is a recipient of the very award he helped to create.